On September 2015 Alha MXP Cargo Terminal has been recognized IATA CEIV Pharma Certified. Transporting healthcare products by air needs the establishment of complex logistical methods to maintain a pharmaceutical shipment’s integrity. It requires specific equipment, storage facilities, harmonized handling procedures and, above all, strong cooperation among the cold chain partners. 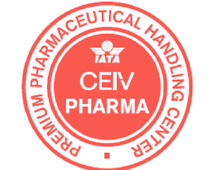 Developed by IATA in close cooperation with the pharmaceutical industry stakeholders and regulators, CEIV Pharma program covers all aspects of time-sensitive and temperature-controlled cargo shipping, including effective cool chain management and risk mitigation. 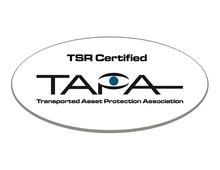 TAPA TSR (Truck Security Requirements) specifies the Security standards for Trucking Services: the certification can be achieved at one of three levels: 1, 2, and 3, with 1 being the highest level of security. Alha Airport Cargo Terminal in MXP has been the first cargo terminal to obtain TAPA TACSS Level 1 in EMEA Region. TAPA Air Cargo Security Standard is a certifiable security programme for the air cargo industry that is aimed to provide quantifiable standards and industry recognised methods to help reduce the risks to air cargo while in the care and control of ground handlers and their partners. 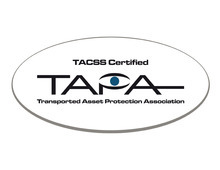 TACSS is a global initiative involving all three TAPA regions and is the result of a project that started in mid-2009 to create a set of certifiable standards for warehouses/operations handling air cargo shipments: on a loss prevention and asset protection perspective, TAPA TACSS is the only certification that covers some unique aspects that are exclusive to the securing of air cargo. TAPA FSR specifies the standards for physical security system and the methods used to maintain those standards: this certification applies to off-airport facilities and defines a set of standards to be implemented and maintained in order to guarantee secure handling conditions. Alha off-airport Hub in Prato has obtained TAPA FSR Certification in 2012. 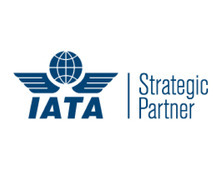 IATA Strategic Partnership is a global platform including 300 selected service providers in the aviation industry which act as key influential players in critical areas of involvement. Within their respective working groups. the Strategic Partners are responsible for moving industry projects forward and drawing up policies and regulations on behalf of IATA member airlines. In an extremely competitive market, the certification of a company's Quality System represents an essential reference point for the products and services the company places on the market. System in compliance with the new edition of the standard (ISO 9001:2008) ensure all the functions are more oriented towards the final result and greater attention is given to the internal and external customer. 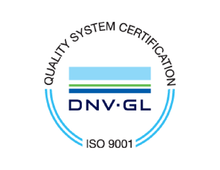 Application of the ISO 9000 standards, through optimisation of the internal management system, favours long-term continuous improvement in company performance, thereby increasing its market competitiveness. Alha Airport MXP has obtained ISO 9001 Certification in January, 2000. 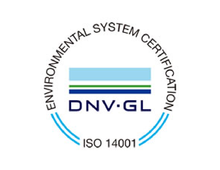 Alha Airport MXP ISO 14001 Environmental Management System (EMS) provides a continuous cycle of planning, implementing, reviewing, and improving the processes and actions that are performed to meet business and environmental goals. The EMS influences all aspects of Alha Airport operations, products, and services, including compliance with environmental requirements and regulations, while and driving ongoing improvements to Alha Airport MXP environmental performance. Since 2011 Alha is a Member of TIACA, the International Air Cargo Association. 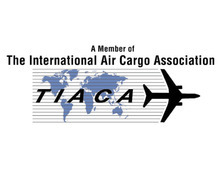 TIACA is a global association representing all the major segments of the air cargo and air logistics industry: airlines, forwarders, airports, ground handlers, road carriers, customs brokers, logistics companies, shippers, IT companies, aircraft and equipment manufacturers, trade press, and educational institutions. In October 2017 Alha has joined Pharma.Aero, a new worldwide platform including members from airport communities, pharmaceutical shippers and cargo logistics stakeholders from around the world. The association aims at achieving reliable end-to-end air transport for pharmaceutical cargo by fostering collaboration between IATA CEIV Pharma certified stakeholders. By joining this global platform, Alha takes another step and moves forward to further develop specialized air cargo services for pharmaceuticals in Italy, connecting with CEIV certified stakeholders worldwide and collaboratively working on reliable end-to-end pharma lanes.